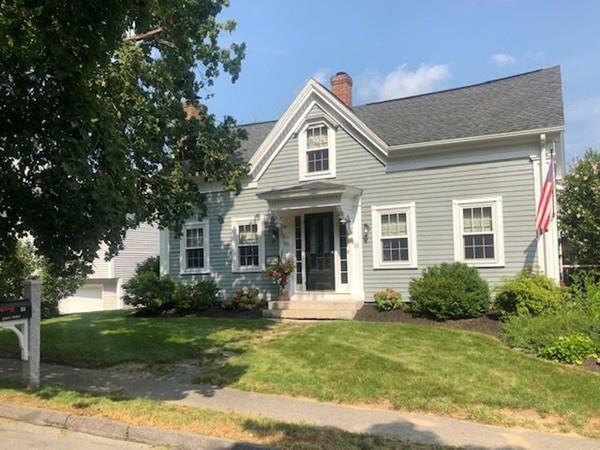 Charming 1840âs Federal Style Cape on a quiet street located in Graftonâs historical center; loaded with all the charm and character one expects of an antique but with all the modern amenities. Four Bedrooms with a first floor master suite; 2.5 remodeled baths; original wide pine flooring along with new Carslie Wide Plank (hart pine) floors throughout; Roomy eat-in kitchen with 7 foot island with open floor plan into the great room; office with working fireplace; formal dining room; Second floor built-in window bench over looking front yard; screened in porch; First floor laundry; two car garage and full basement; walking distance to the Grafton Common and North Street Park; Ten minutes to Pike and T-Station. A historical house with modern upgrades and flair on a desired street, a rare opportunity and a must see!